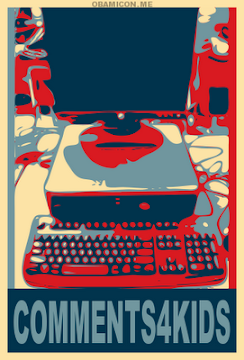 Sadly, this will be the last post on our blog. We have had a great three years sharing our learning with you. Thank you to all those who took the time to view our blog and leave comments. 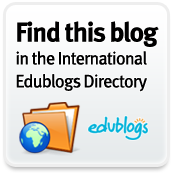 If your work is published on this blog, have no fear it will not disappear. It shall remain as a record of your learning. 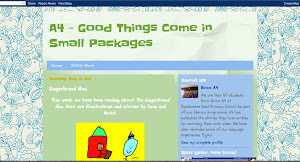 The author of this blog, Miss Lepou has moved to Green Bay School. You can find her new blog HERE. On Tuesday B4, B5 and B6 performed as part of the Junior Christmas Concert. We sang two songs, Waddley Archer and Little Birdy. For those of you that couldn't make it to the concert - here is our performance. Sammy's brother loves to use the laptop. Sammy has written a story about his brother Alvin who watches YouTube all the time. 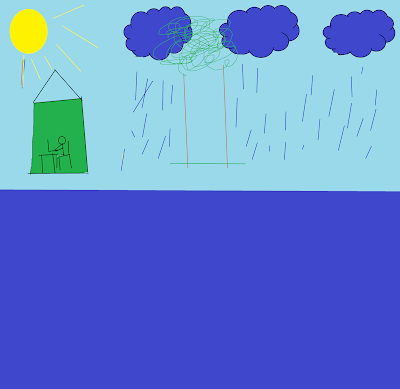 Sammy wanted to publish his story onto the blog by creating a picture on paint and using the EasiSpeak microphone. The Frogs reading group read a book called Tails and Claws. It is a book that describes different animals and you have to figure out what they are. The Frogs had a go at describing an animal. Can you guess what the animal is before the time is up? The Penguins group read a book about komodo dragons and they found out some disturbing facts! 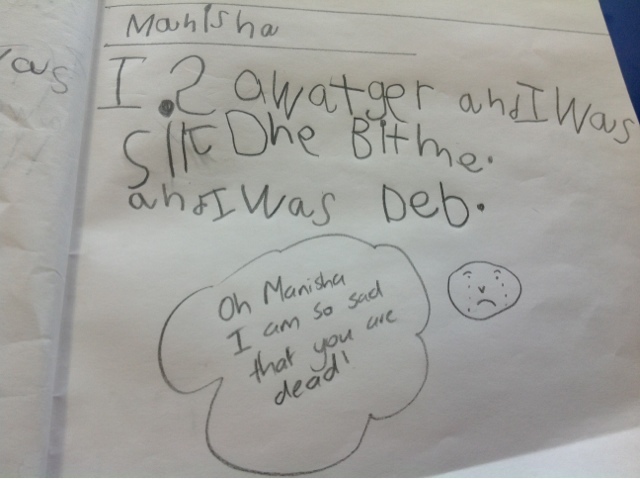 They recorded their learning on the Easi-Speak. 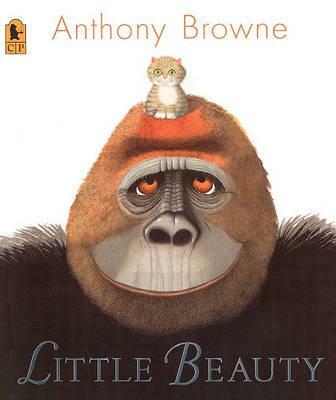 We used Anthony Browne's book, Little Beauty as inspiration for our portraits. We noticed that he created some of his illustrations with a very simple pencil sketch and a detailed background. We used this idea to create some pictures of ourselves and here are the results. Last Friday, A4 and B6 decided to cook some of the vegetables growing in the gardens. They used the vegetables and herbs to make a frittata. Here is a slideshow of how they made their frittata. Last night, there was a special cultural concert at Papatoetoe East. Evile came to watch his brother perform in the Kapahaka and Samoan groups. Evile has written a story about the concert. The orchestra and some of the East Idol contestants also performed. Check out orchestra highlights and Kapahaka highlights on A7's Blog. Here is a Puppet Pal story by Gavin about a monster who was chasing him. Shane helped Gavin to make the puppet show by moving some of the puppets and adding sound effects. 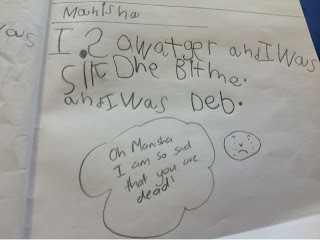 Manisha is making great progress in story writing. She decided that she would like to share her story on the blog by taking a photo and recording her story on the iPad. One of the literacy activities in B6 is to create a story on Puppet Pals using the iPad. Some of the children have been learning how to create their own puppets by drawing a character and taking a photo or by taking a photo of themselves dressed up. Here are stories by Nataria and Sonya.